NEW YORK — Dwyane Wade had some superstar fans on hand for his final NBA game. LeBron James, Chris Paul and Carmelo Anthony were all sitting courtside in Brooklyn on Wednesday night to watch Miami's game against the Nets. Wade punctuated his career with one last triple-double, finishing with 25 points, 11 rebounds and 10 assists in a 113-94 loss to Brooklyn. The four players are close friends and former teammates on the U.S. Olympic team. Wade went over to the corner where they were sitting and hugged each before starting his final game before retirement. Afterward, Wade finished his season-long custom of exchanging jerseys with players by giving his to Anthony. Anthony was one of the people who persuaded Wade to return this season and enjoy a farewell tour, but then he didn't last long enough with the Houston Rockets to play against Miami. 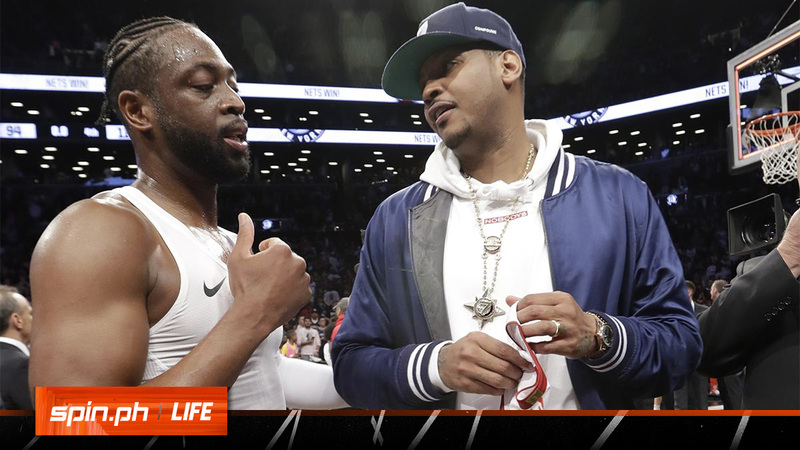 "I didn't get an opportunity to play against Melo this year and exchange jerseys with him," Wade said. "That was a missing piece out of this whole season, so everything worked out great for him being here, for me having an opportunity to give him my jersey." James told Fox Sports Southeast that it was important for them to be there because their friendship goes beyond basketball. "CP played last night, we had our last regular-season game last night and Melo's right here in New York so we kind of made the plan, made the decision to come up here," James said. "Listen, we couldn't miss D-Wade's last game. This is the last time he's going to be on an NBA floor wearing that Miami Heat uniform, that No. 3, so we're happy to be here to support."